Most outdoor furniture is weather resistant and comfortable, making it a great addition to your next outdoor family BBQ or summer party. 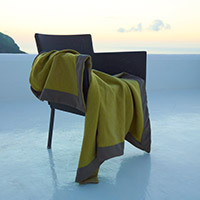 The large selection of contemporary outdoor furniture makes creating the perfect atmosphere for a warm summer breeze. The looks are youthful, minimalist and fresh, great for any season. From outdoor sofas to individual patio chairs and outdoor dining furniture, there's no limit to creating the perfect combination of furniture for your outdoor living area. Form an outdoor oasis on the patio or front porch with tables surrounded by contemporary lounge chairs. 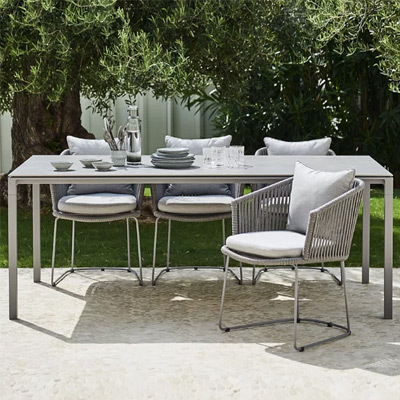 Whether in the corner of the garden, casually placed on the deck or in a designated dining room setting, patio furniture provides the ideal amount of comfort needed for relaxing outside. Use outdoor sofas for catching relaxing naps on the deck and consider a coffee table to hold your cup of coffee in the morning. 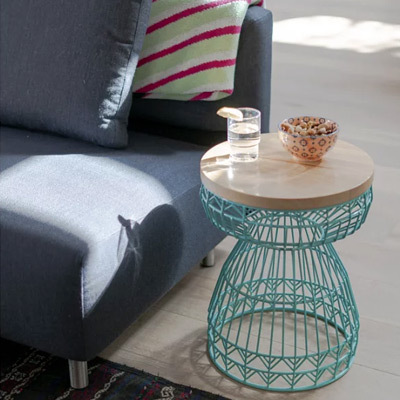 Side and accent tables work well just about anywhere and use a bench for seating or simple decoration. You can also form a smooth transition from the sun room or indoor/outdoor living room with modern furniture meant for both dry and wet locations. Any combination of well-chosen seating and dining furniture in this outdoor collection will create a space that you won't mind hanging out in long after the sun has set. 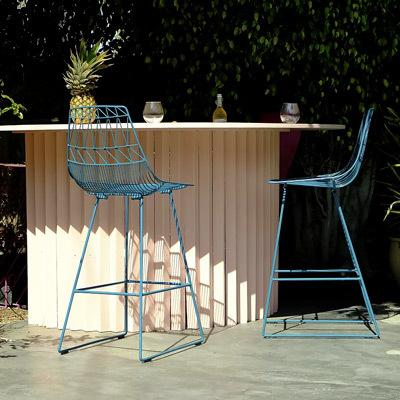 With a large variety of colors, finishes and materials, this assortment of outdoor furniture appeals to almost any exterior decorating style. 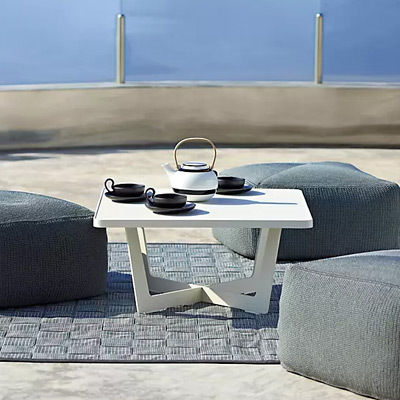 Patio chairs, outdoor-friendly sofas and other seating forms from Blu Dot will grace your outdoor living space with contemporary style while Vondom offers a number of modern, sharp-lined tables for everyday dining, placing your morning cup of coffee on or to simply accent the porch or patio. 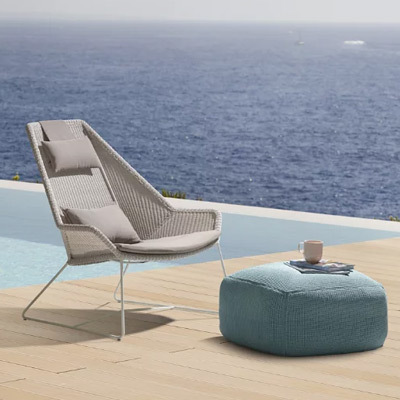 Vondom's selection of patio furniture also suits a minimalist outdoor living area with purely modern designs for lounging, dining or accenting. 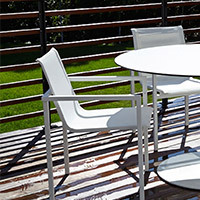 Traditionally styled outdoor areas benefit from a patio dining set from Skargaarden or Domitalia. Consider adding an outdoor bench for compact spaces and if it is exceptional comfort you want for your deck or patio, be sure to see the hammocks and plush bean bag chairs from Fatboy. Fatboy even offers a comfy inflatable couch you'll want to see. Where will you place your outdoor furniture? It's an important first step to decide where exactly you will place your new outdoor furniture pieces. Knowing if the furniture is used for the patio or the deck versus the front porch will help you decide just what you need. You may also determine its placement by how you plan to use it. While lounge furniture finds its home on the front porch, a dining set is best on the back patio. What is the best construction for outdoor furniture? The various styles of patio furniture are offered in a wide range of materials including metal, wicker and plastic. It's best to determine the use of your outdoor furniture to best understand the right material for your application. For example, metal outdoor dining stands will withstand much more use and weather than wicker or plastic. However, if you love the look of wood in your furniture, then you'll want opt for a wicker design. The material also helps you decide the best cleaning methods for your furniture. While metal and plastic are easy to clean / maintain, certain types of wood furniture will undoubtedly require more care. What are the best colors and finishes to choose? This step is completely up to you and your own personal aesthetical preferences. If you already have furnishings and lighting in your outdoor living area, consider coordinating with a similar color palette. 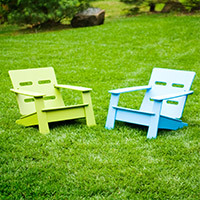 Consider the style you're aiming for too - black, white and gray outdoor furniture make a minimalist statement, while colorful outdoor sets offer a popping personality the great outdoors will appreciate. How do I clean my patio furniture? This is a carefully considered part of outdoor furniture construction. Knowing that you'll want a piece of furniture that can withstand the elements means it also needs to be easily maintained and cleaned. If you are choosing wooden outdoor furniture, pay close attention to what types of cleaners you are able to use as there are different suggestions for varying types of wood. 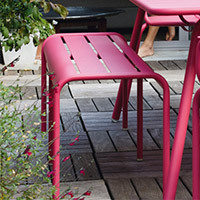 For plastic furniture designs, like those found in the outdoor collection from Kartell, you're in luck - most of these designs can take any type of common household cleaner or you can simply spray them down with the garden hose. For metal outdoor furniture, you can follow similar cleaning steps, but you may want to use a wire brush to remove any built up rust. Despite the type of material you choose, routine maintenance will keep your furniture looking new and clean. 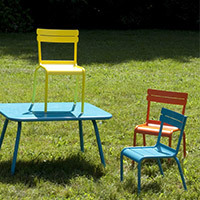 If you have any questions about the outdoor furniture featured here, please call our furniture experts at 877.445.4486. Enjoy relaxing in your new patio lounge chair late into the evening hours with a variety of outdoor lighting fixtures. The collection of modern outdoor lighting is comprised of flushmounts, wall sconces, portable lamps, post lights and landscape lighting fixtures to creatively adorn your front or back yard. Use your new deck furniture long into the evening with portable lights, a sconce by the back door or an arrangement of tea lights and candles. 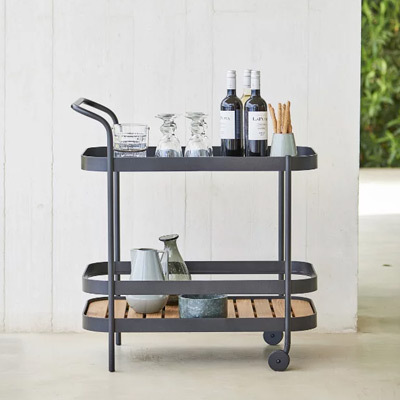 You'll also want to take a look at the outdoor living category to dress up the patio dining table with modern decorations, centerpieces and other unique things to make outdoor entertaining fun and inviting to friends and family. Finally, find ultimate comfort by keeping your space cool with an outdoor ceiling fan.